Prominent & Leading Manufacturer from Chennai, we offer rice mill heat exchangers and rice mill heat exchanger. We are counted as consistent firm actively involved in developing modern day Rice Mill Heat Exchangers. Our industrial expertise can be seen in our offered finned tube type heat exchangers that are becoming widely popular for its ease of operation in cooling or heating of air or other gases which flow in a duct using air. Precisely engineered from robust grade material the offered model is suitable for anti-corrosive environments and can be ordered from us in varied capacities ranging from 12 tons to 40 tons at a leading price. 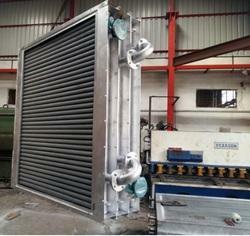 We have complete allegiance in developing highly demanded Rice Mill Heat Exchanger. We bring forth the most reliable range of heat exchangers that are suitable for high temperature and corrosive environment of rice mills. 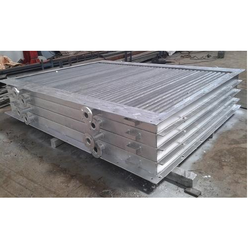 Carefully designed as per the highest industry standards and requirements of our clients the offered heat exchangers are featuring aluminum extruded finned tubes to reduce the fuel consumption by 35%. Further, we are providing the quality compliant range of heat exchangers in varied sizes at a nominal price.